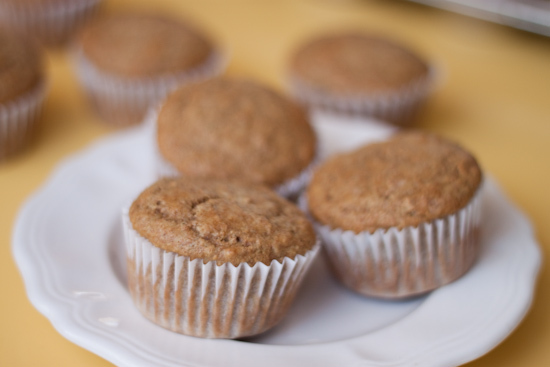 I realize that the name "Bran Muffin" doesn't give off quite as much excitement as "Lemon Poppy Seed" or "Apple Streusel" but trust me when I say these really are delicious! 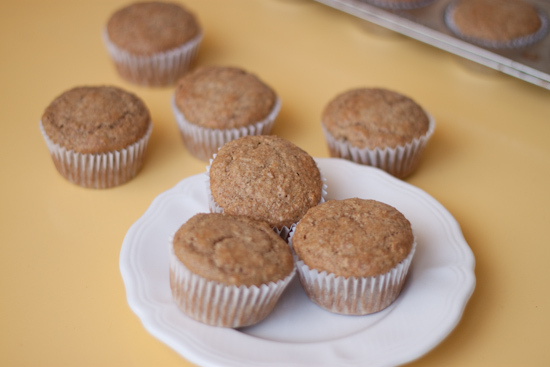 These little muffins are something I like to make in large quantities because they are perfect for bagging up and placing in the freezer for numerous occasions. 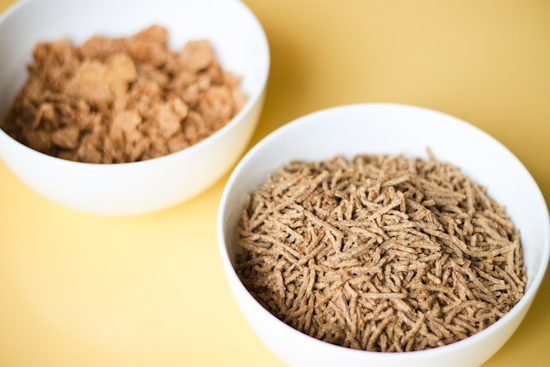 Like when you need a quick yet nutritious breakfast, road trip snack, or if your just looking for a way to get a little more whole grains into your diet. My super picky 2-yr old LOVES them...and that makes me more then happy to whip up a batch or two when we are running low! *This recipe will make about 4-5 dozen muffins (which is a lot!) so I often half the recipe to get 2 to 2-1/2 dozen muffins. Instructions: In a large bowl, mix the sugar, butter, eggs, and buttermilk. 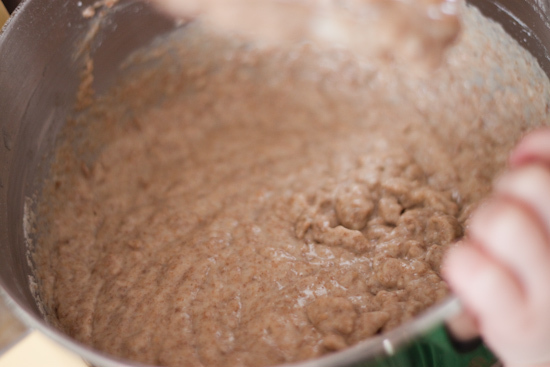 In a separate bowl, add the 5 tsp of baking soda to the 2 cups of boiling water. Pour the boiling soda mixture into the large bowl and mix ingredients well. 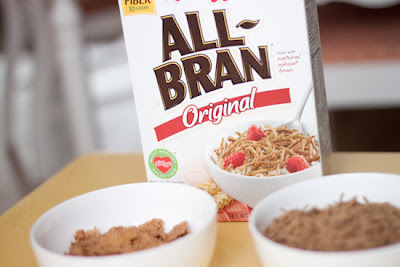 Then mix in the flower, salt, Bran cereal, and bran flakes. Allow the mixture to sit for 5-10 min. or until the cereal flakes have softened. 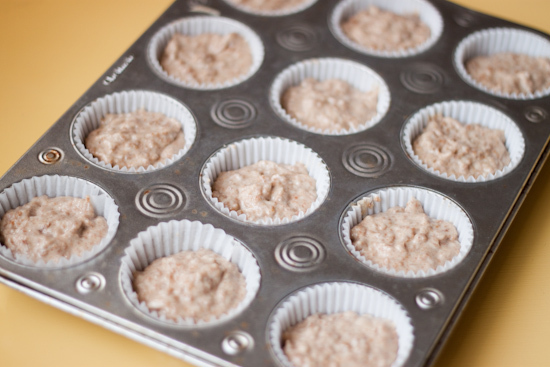 Once they have softened, give the mixture 1 more good stir and then fill your muffin tins (about 2/3 full). Bake at 350 degrees F for 10-15min. 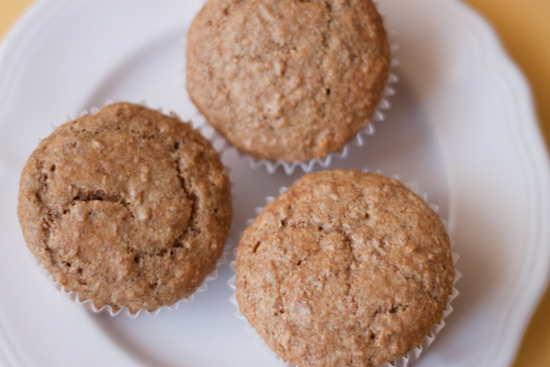 You will know when the muffins are done if a toothpick inserted in the center comes out clean...or when you press down on the top of the muffins and they bounce back. 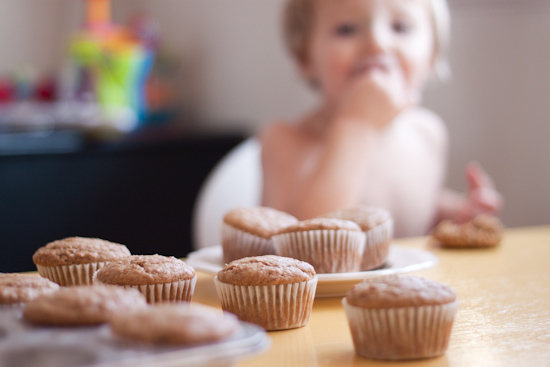 You definitely make them look good =) I'd pass up a poppyseed to try one =) Love your photos. i am sooo making these today! thanks for the recipe!